Brunnby (Well Village) takes its name from the spring about 200 meters south of the church. Built first in Romanesque style in the mid 1100’s, it initially consisted of a chancel and nave. Two small windows survive from this era. In the 15th century, the church was extended west in Gothic style, the tower added and ceiling vaulted. 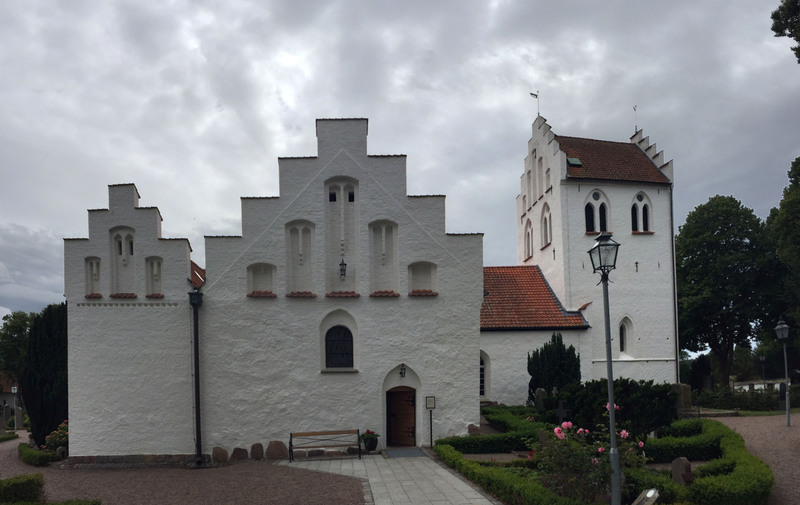 The north arm of the transept, known as Arild’s Chapel, was probably added at the beginning of the 1500’s. The south arm, Mölle Chapel, was completed in 1752.